Without question one of the most successful coaches in Tasmanian history, Bob Miller guided City-South through a golden era in the 1950’s which produced six consecutive NTFA Grand Finals and four premierships. Born in 1923, Bob Miller came to Tasmania from Victoria where he had played 44 VFL games for Fitzroy from 1946 to 1950. In 1951 he journeyed south to Tasmania to take up the role as captain-coach of City in the NTFA, a club who hadn’t won an NTFA premiership since 1941; his arrival would usher in the greatest era in the club’s 106-year history. 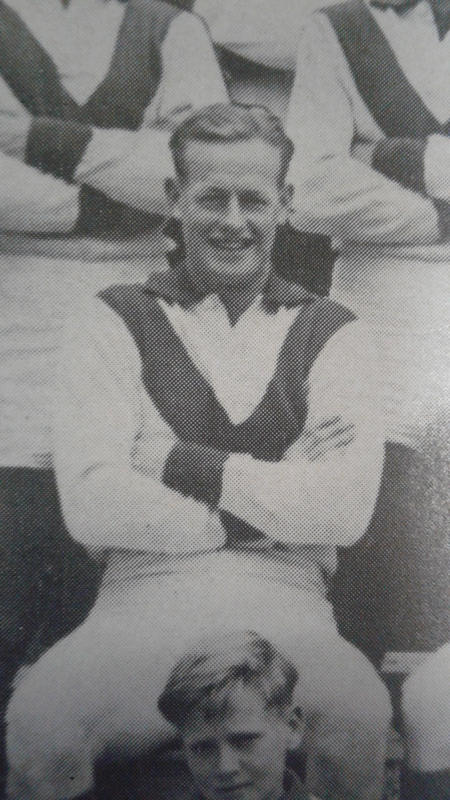 After making his debut for the Redlegs in the opening round of 1951, Miller had become one of the star centremen in the competition by season’s end, leading his side to a Grand Final against Launceston, a match City would lose by 12 points. They would go one better the following year, getting the better of Scottsdale by 20 points. The 1952 triumph was to be the first of a hat trick of premierships for City under Miller’s guidance: in 1953 the Redlegs proved too strong for Longford, while the following year it would be Launceston who would be the vanquished challenger, City emerging premiers by five goals. This led to the club’s first state premierships decider since 1941, and as they had done at league level City emerged triumphant, toppling TANFL premiers Hobart by 24 points. During this period Miller became an effective and popular coach, regularly inspiring teammates through pieces of on-field brilliance through the middle of the ground or during a short-lived stint at full forward. Sadly, Miller would watch his teammates’ glorious 1954 achievements from the sidelines, after badly breaking his leg during the NTFA finals. After retiring at the end of 1955 Miller retained his role as coach, and his on-field absence failed to blunt City’s dominance. After falling to Longford in 1955 NTFA decider, Miller’s charges brought home their fourth flag in five years in 1956, overcoming North Launceston by eight points. After (the re-named) City-South failed to reach the Grand Final for the first time under his watch in 1957, Miller stepped down as coach, handing the reigns to champion Centre Half Forward Geoff Long. Miller subsequently spent some time coaching in the country, most notably in the Fingal District Association with Rossarden where he guided the club to a dynasty of six premierships in seven seasons between 1961 and 1967. He was eventually lured back to City-South as coach after nearly 15 years in 1970, replacing club champion Berkley Cox. City-South’s golden era had ended in 1966 and it was hoped that the previously successful Miller would be able to lead the club back into the top echelon of teams in the NTFA. His re-appointment was met with almost immediate success: after reaching the preliminary final in his first season back, City-South finished as minor premiers in 1971, only to be crushed by Scottsdale in the Grand Final by 93 points. Stung by that humiliation, the Redlegs and Miller were back with a vengeance the following year, exacting revenge on Scottsdale to take out the NTFA premiership, before winning their seventh and final State premiership with a magnificent victory over the Darrel Baldock-coached Latrobe by 36 points. Despite this success, Miller stepped down as coach at season’s end, going out on the highest note possible. In ten combined seasons as coach of City/City-South, Bob Miller led his side to eight Grand Final appearances, five premierships and two state flags. When the club’s Team of the Century was named in 2002, Miller was an obvious choice as coach. Unfortunately he didn’t live to see himself accorded the honour, passing away in 1993 at the age of 69.